Have students try these activities to expand their knowledge and interest in Spiders. Spiders vary in size. Some can have a leg span of up to 12 inches! Have students do some math problems using this leg span. For example: If a spider’s leg span is 12 inches, what fraction of a yard is that? How many centimeters are in 12 inches? How many millimeters are in 12 inches? The beginning of a book or magazine article should catch a reader’s attention and make him or her want to read on and learn more. Have a student read aloud the opening paragraph of Spiders. Ask students to discuss what they think is interesting about it. Then have students write their own opening paragraph to an article on spiders. The Greek legend of Arachne described in Comparing Spiders and Insects tells how spiders got their name, arachnids. Have students come up with their own version of a legend to explain how arachnids got their name. Students can illustrate their legend with a drawing. 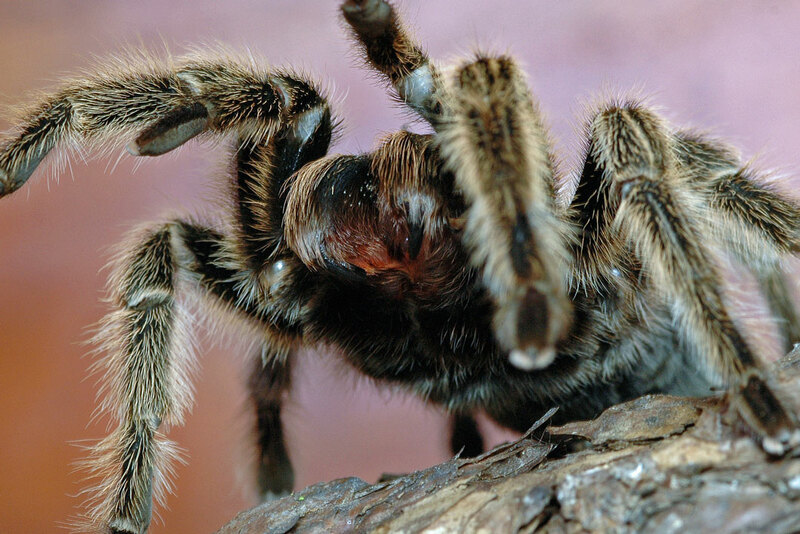 Have students write a poem about spiders that appeals to as many of the senses as possible. Remind students that their poems don’t necessarily have to rhyme. Students may want to write poems with eight lines, and display the poems by cutting out a spider shape and writing one line on each leg. The tarantula got its name from an epidemic of spider bites that took place around 1370 in Taranto, Italy. People believed that performing a spinning dance called the tarantella would flush the venom from their systems. The word “tarantula” is considered an eponym, which means that the word comes from a person or thing. The word “sandwich” is also an eponym. It comes from the Earl of Sandwich, who, so the story goes, spent a lot of time at gambling tables in the 18th century. One time, unwilling to stop playing cards, he asked his servants to bring him two slices of bread with meat in between. Thus, the sandwich came about. There are thousands of eponyms, from Ferris wheel to pickle. Have each student find three eponyms and write the derivation of each word. Then students can make up a word that comes from their own first or last name. They should write the definition of the word, explain the story behind the definition, and draw a picture to go along with the explanation. Arachnophobia is the fear of spiders. Have students do some research and find out the names of other fears or phobias and what causes them. Spiders are cold-blooded animals, which means they depend on their surroundings to control their body temperature. Have students make a list of coldblooded animals. Spiders are also invertebrates, which means they have no backbone. On the list of cold-blooded animals, students should identify the invertebrates with a star.